China will push through with its plan to build an island city on Woody Island and two smaller neighboring islets in the contested South China Sea waters, South China Morning Post said in a report. ISLAND CITY. China is shifting gear to build an island city on Woody Island and two smaller nearby islets in the disputed South China waters, the island contested by Beijing, Taipei and Hanoi. Diplomatic observers say the developments on the island raises China’s blueprint for future military projects in other Chinese-occupied islands in the South China Sea. “We need to carefully plan the overall development of the islands and reefs based on their different functions, taking into account their complementary relationship,” said Zhang Jun, Communist Party secretary of Sansha, China’s southernmost territory. The Philippines does not have any claim on Woody Island, which is being contested by China, Taiwan, and Vietnam. 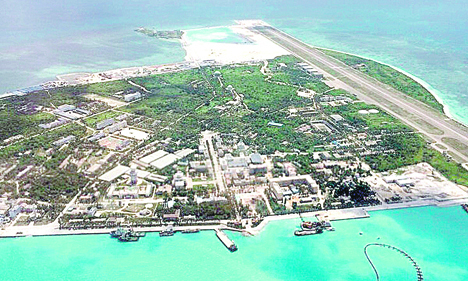 The developments in Woody Island, however, serves as Beijing’s blueprint for future military projects in other Chinese-occupied islands in the South China Sea.